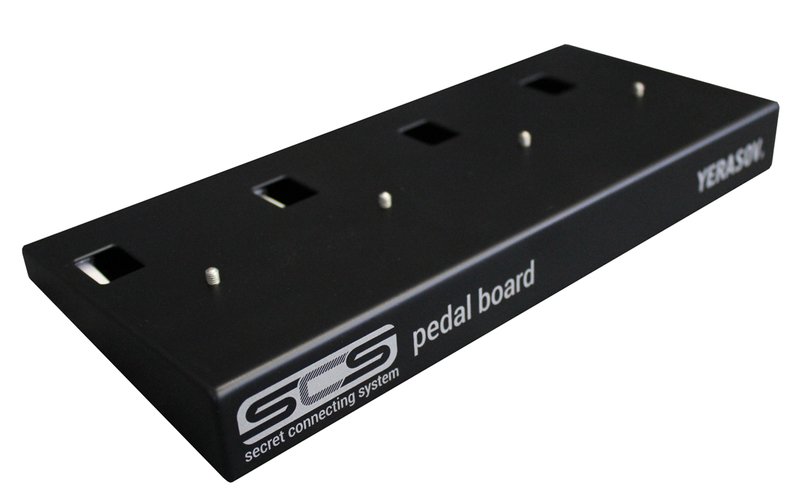 SCS (Secret Connecting System) pedalboard is designed to use with SCS series pedals. 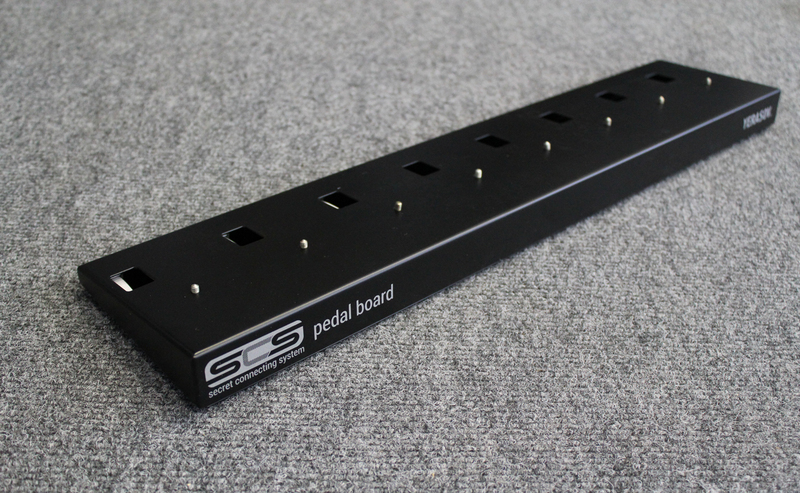 PB -4,6,8 Pedalboard pre-wired pedalboard for 4/6/8 effects, the pedals are connected SCS-ports. 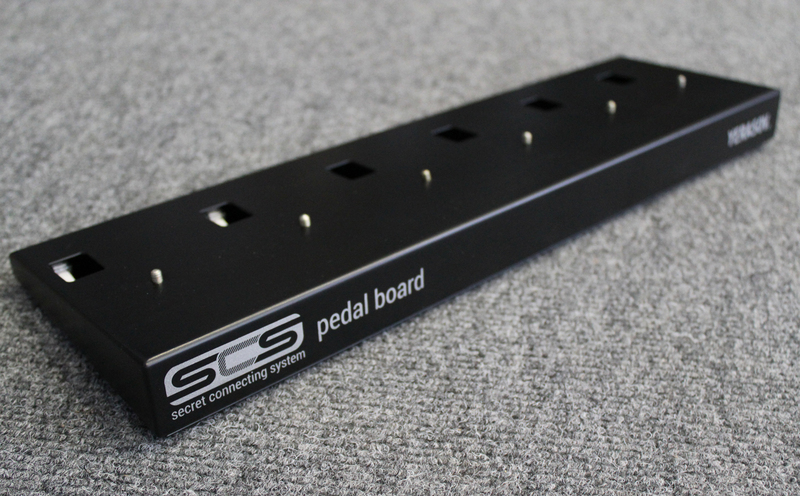 The board runs with a secret connecting system, allowing you to only connect one pedal to a power source and feeding all other pedals through that. 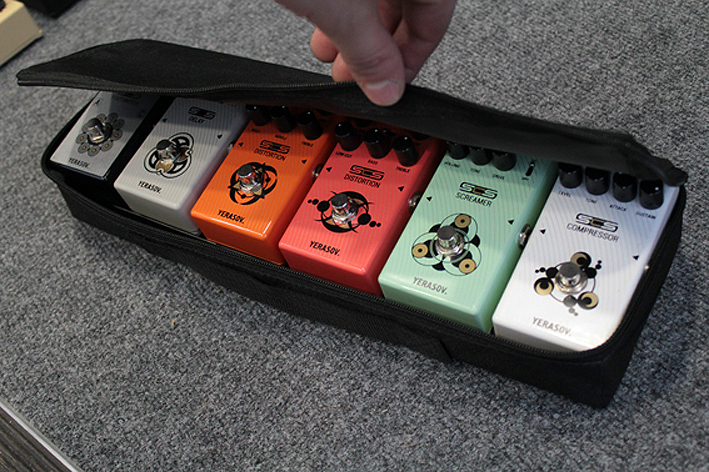 The power and signal will run undistorted through the pedal. 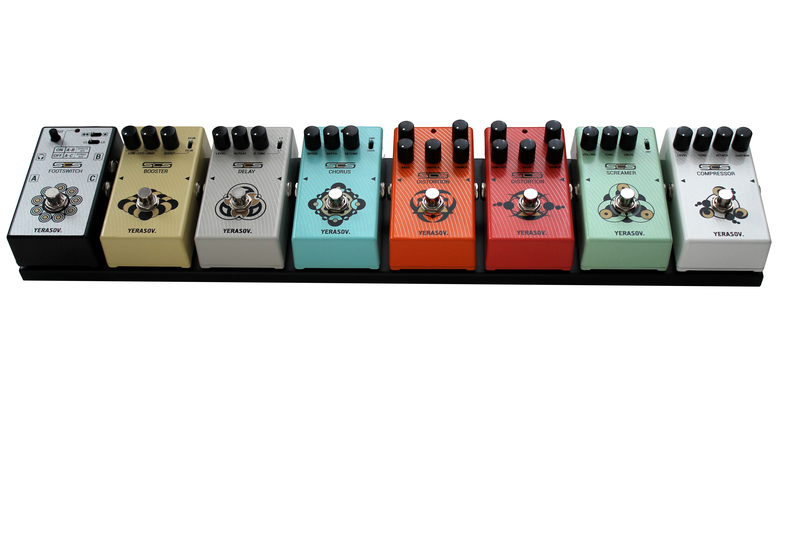 The other pedals series SCS, all of it in amazing quality for a really nice pricing!